Sage tea is an ancient herbal remedy that has been used throughout history to treat a number of ailments. This Mediterranean herb is best known for being a great tonic not only for women, but for anyone in general. 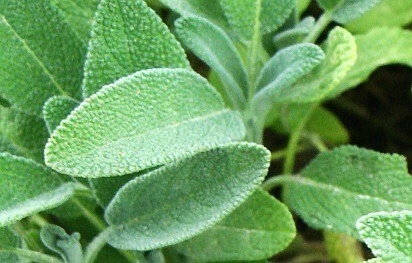 Sage is also a seasoning herb is best known for the peppery flavor it adds to the many dishes where it is used. It is also known as a great tonic for a number of ailments. Rich and nutritious this is a herbal tea that should be part of your home remedy collection due to the multitude of uses it has. Come and learn more about this healing herb! Sage is a perennial herb that is native to the Mediterranean region, although today it can be found growing throughout the world, both outdoors and indoors. It has a long reputation both in traditional medicine as well as in the culinary arts. This plant, known in Latin as salvia officinalis, meaning "safe" and "to be well" or "to heal", is a nice aromatic shrub that grows to a height of 60cm, sometimes 1 meter, tall. Its leaves are oblong in shape and are about 6cm long, covered in short soft hairs that make it seem like they are grey-green in color to almost fuzzy white underneath. Sage blooms in late spring or summer lovely small flowers that are most commonly lavender, but may also be white, pink or purple. This is a plant that loves warm weather best, and thrives in the sunlight. This herb has long been associated with health and longevity. As far back as Ancient Rome and Greece, this herb was much loved for its health benefits, such as warding off evil spirits, treating snakebites and even increasing women's fertility. It was thought to clear your mind and improve your ability to think and remember. Further east, in traditional Chinese medicine, this herbal tea was also believed to strengthen the heart, treat digestive problems and aid with sleeping disorders. Women would use sage to help deal with menstrual issues. 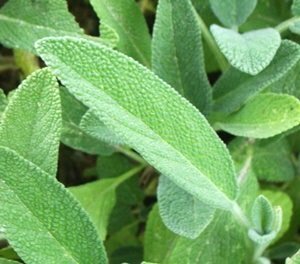 As time moved forward, sage kept its presence in the gardens of monasteries in the Middle Ages, when it was used to heal the sick. When European reached America, they found that Native Americans used sage for spiritual purposes, to clear the energy fields. 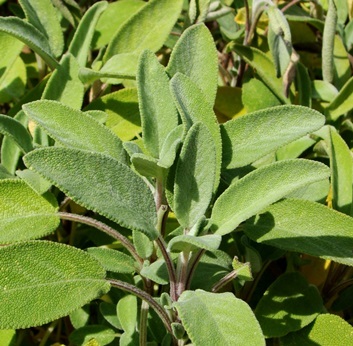 Today sage continues to be used in the kitchen to season and spice meat dishes, in stuffing and sauces. It is particularly loved in Italy and in the Balkans wherever fatty meats are used, and in the Middle East where sage may be even found in salads. Its aromatic presence may be found in pot pourris, in perfumes and soaps. Its peppery flavor may also be found in tooth-powders. As it is so easy to grow and makes such a nice ornamental shrub, many people still drink sage tea for its many beneficial purposes. Sage herbal tea has many benefits due to the many nutrients, vitamins and minerals, which it contains. Among these components are vitamins A, B1, B2, B3, C and E, and minerals such as calcium, iron, magnesium and potassium. Sage also contains tannins, antioxidants and flavonoids, and other chemical substances such as thujone, camphor and rosmarinic acid. Let's take a look at some of the most important sage tea benefits. Sage tea is great for helping women who are going through menopause and are suffering from many of the uncomfortable symptoms that occur at this stage in life, such as hot flashes and mood swings. This cooling herbal tea serve as a tonic for the female reproductive system, balancing hormones with its estrogenic effect, easing night sweats and hot flashes that could be throwing you off balance and giving you restless nights. Tip: take a cooling bath with sage leaves on hot nights to reduce your body heat, help you breathe better, calm your nerves and renew your strength. A cup of a sage infusion may also come in handy for women well before reaching menopause. It may be helpful for women who regularly suffer from menstrual cramps, ovulation pains, and need to regulate delayed or insufficient periods. At the same time, this uterine tonic may also help those with excessive menstrual bleeding. Tip: Drink this tea only in the week before your cycle in order to regulate your reproductive system and reduce the chances of cramps occurring. This tea may also be used by women who need to reduce the production of breast milk, for example, when the baby has gone off milk and moved on to other foods, ending the breastfeeding stage. This herb may be used for much more than cooking, it may be made into a tea that may help improve your digestion, particularly of fatty foods, fighting stomach aches and nausea caused by a slow and sluggish digestive process. By boosting your digestive enzymes, sage tea may help soothe your stomach and intestinal muscles, relieve cramps and reducing the risk of indigestion, heartburn, bloating, colic and flatulence. It may also help fight infections that could be causing you digestive distress, even stomach hemorrhaging. Its laxative effects make this tea great for dealing with constipation, but care must be taken when using this herbal tea for bowel relief, as you need to drink plenty of water to prevent dangerous dehydration. Sage herbal tea may also help promote your appetite. This is particularly important when you are recovering from illness or feeling feeble, making it harder to eat when you need healthy nutrients most. It also promotes bile production and stimulates pancreatic function. Due to its high tannin content, this digestive tonic may be taken as cooled infusion to help both adults and infants to relieve diarrhea and abdominal colic. It helps to fight infection in the intestines. When sage tea is used to improve digestion, it may have an added bonus: weight loss. This may be the result of how sage helps to improve your digestive health. By boosting your digestion, this herbal tea helps your system to move foods along quicker along your digestive tract, absorbing the nutrients you need and getting wastes faster. Promoting waste elimination from your body, not allowing your body to absorb unnecessary fatty elements, may help in the fight against obesity. If you accompany your sage infusion with a healthy diet and plenty of exercise, this tea may help your body to break down fats in your body and lower your bad cholesterol levels. Sage tea may be taken as tonic for the liver, helping to stimulate the liver function, which could reduce the occurrence of headaches, fight fatigue and boost your immune system. This herbal tea may also help fight urinary infections, treating and strengthening your kidneys. It also has a diuretic effect, aiding your kidneys in the process of eliminating toxins from your body. Sage is a herb rich in rosmarinic acids which serve as a natural sedative for the nerves. So a nice cup of sage tea may be a good nerve tonic, helping to soothe your nerves, relieving your anxiety with its anxiolytic action, calming the mind and the nervous system. This herbal remedy may also be used when suffering from nervous exhaustion. It may help you sleep better in times of fatigue. At the same it is also a stimulating tonic, boosting blood circulation, restoring vitality and strength to the tired, weak and lethargic. It helps to both soothe and build up your nerves. Try drinking this tea if you suffer from mild depressive states, which could be linked to tiredness and stress. Do not be afraid to talk to a doctor about unnatural feelings of anxiety and depression. A sage infusion may help soothe the mind, but it may help to talk to an independent third party about your troubles, particularly when you lack sleep. It may also be used for pain relief, as sage tea is said to calm muscles, relieve stomach pains caused by nervous states, and it is even considered a good treatment for nervous headaches and painful migraines. This herbal tea may do more than act on a nervous mind, it is said to help boost memory and brain function, allowing you to concentrate better. It may also help clear your mind, sharpen your senses, thus allowing you to think better. Tip: blend with rosemary for a wonderful brain tonic. This herbal tea is currently being investigated for its potential as a treatment for Alzheimer's disease, because it is said to help guard against the depletion of the brain, preventing degeneration of neurotransmitters. Unfortunately, further tests still need to be done. Take a hot cup of sage tea when you feel a cold coming on. It may help to clear chest congestion, because it may act as an expectorant, helping you to get rid of phlegm. Its antiseptic action may help to heal and strengthen your lungs. Tip: considering creating a steam from your sage herbal tea, and breathe in to help clear up and disinfect your respiratory passageways. Sage tea may also be great for a sore throat. Rest your voice and gargle with warm tea throughout the day to soothe and treat the affected area. This anti-inflammatory tea may also help with other throat related issues such as laryngitis, pharyngitis and catarrh. This herbal infusion may help to bring down fevers, sweating out toxins and killing germs, and even helping to treat more serious conditions such as bronchitis and pneumonia aiding in the recovery process. Sage tea may be helpful when dealing with other respiratory ailments. Its antispasmodic action may bring relief to those suffering from asthma, by reducing tension in smooth muscles. It may also help with sinusitis and smoker's cough. Most importantly, this tea helps your body to restore its natural defenses and build up your immune system in order to prevent bacterial or viral infections and speed up recovery time when disease does occur. Sage tea may help you fight and prevent many diseases with its blood cleansing action. It helps to boost circulation, helping the body to get rid of toxins better. It is said to strengthen blood vessels and help lower blood pressure. The cleansing action of sage tea may help to lower sugar levels in blood, aiding those who suffer from Type II diabetes and possibly lowering the risk of developing diabetes. As it helps boost the production of insulin, make sure to talk to your doctor to help monitor and adjust any medication you may be taking. Did you know that you may use sage tea as a hair rinse? It is said to help clean and treat your scalp, ridding it of dandruff, and at the same time, it will help enhance dark hair, restoring color to hair that begins to go grey. When applied to your skin, this herbal remedy may help treat itchy insect bites. A gentle cool compress may help speed up healing of your skin, treating cuts, wounds, herpes sores and varicose veins. Use this tea to treat and clean skin abrasions and ulcers and bring down swelling. 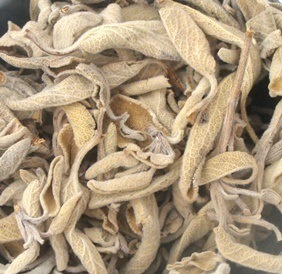 Sage tea may also be used to help treat other skin issues such as eczema and psoriasis. Its soothing and cooling action may be helpful in cases of poison ivy and measles. Blended with other calming herbs, such as chamomile and lavender, it may be added to your bath for relaxing effects, relieving joint pain, arthritis and rheumatism due to its anti-inflammatory action. 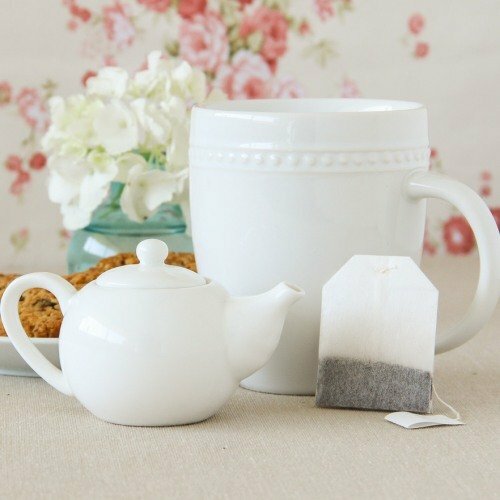 Drinking this tea may have a positive effect on your skin as well. Sage is rich in antioxidants, so drinking this tea may help fight the damage caused by free radicals and therefore prevent premature aging of your skin. Gargle with this tea to help relieve the pain of an aching tooth. This may also be a good idea for treating abscesses or other denture problems. As an added bonus, your breath will feel fresher and your mouth cleaner. Have a cup of Sage tea now! When taking sage for medicinal purposes, you should be aware of some possible side effects of this infusion. Sage contains thujone, a substance that may become toxic in very large doses or when taken over a prolonged period, so stay within the recommended dosage to prevent the possibility of convulsions. Breastfeeding women may wish to drink this tea to try to reduce oversupply of breast milk, but to prevent serious side effects, limit to 1 or 2 cups of sage tea per day. Speak to your doctor prior to taking this tea, as mother and baby have different needs and this tea may not be for you. While sage tea may be used as a natural sedative, when taken in large doses, it may overstimulate your senses. If you suffer from epilepsy, you should avoid drinking sage tea, as even moderate amounts may bring on an episode of convulsions. If you are pregnant, do not drink this tea as it may have effects on your hormonal levels, essential to this stage in your life. And in extreme cases, it may even cause premature contractions, so it's best to choose another tea. Avoid drinking sage tea when suffering from extreme nervous conditions and consider speaking to your doctor to run medical exams and monitor your progress. You should take particular care if your nervous conditions cause you to have an overly irritable stomach. You should discuss drinking this tea with your doctor if you have diabetes. You may need to adjust medication and this should be done with the supervision of a professional physician. Get your sage leaves, fresh or dried, and put the kettle on. It's time to learn how to make sage tea. Put the kettle on and let the water boil (100ºC). As the water boils, take your time to prepare your teapot and cups. Inside the teapot place 2 teaspoons of fresh sage leaves per cup of water, or 1 teaspoons of dried leaves, in the teapot. Let the leaves steep about 10 minutes and then serve. If you have a cold consider adding honey to sweeten your tea and enhancing the healing properties of your tea. 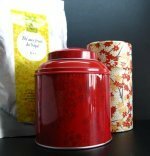 This tea has a strong, even bitter, taste and a very aromatic odor, so try adding a splash of lemon juice to improve its flavor if you need to. As this tea may be used as a laxative, start of with just 1 to 2 cups of tea per day before enhancing your dosage to see how your body adapts. Try not to go over the 3 cups a day and do that for a short period of 3 days at the most. If you are drinking this tea to help you sleep, brew and drink your tea one hour before bed. Try this for 3 days and then once every few days. Because sage tea may be used for many different ailments, seek the help of your doctor or nutritionist to better adjust the herb-to-cup ratio and daily dosage to your particular situation. 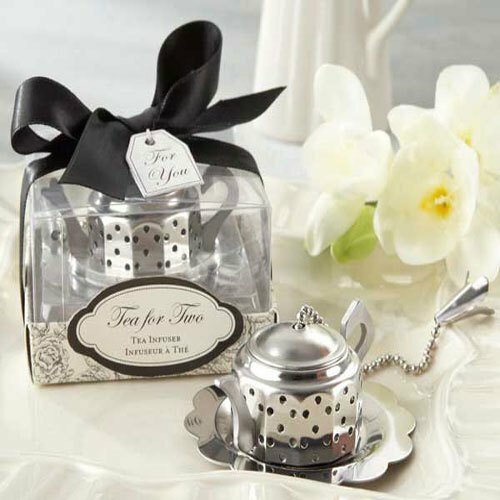 If you are using this tea topically, remember to let it cool before using it. There is no need to burn your head when all you need is a warm compress to help with a migraine. Always start by applying this cooled infusion to a small area of your skin to test for possible reactions. Sometimes this tea is best drunk cold, for example, to help treat a diarrhea, or when you are suffering from night sweats. Blend sage with chamomile or rosemary for a calming and relaxing tea. With lavender or eucalyptus, sage tea may be used to create a nice herbal bath. It helps to open up your skin pores, creating a refreshing and cleansing sensation. To improve your digestion, you may enjoy this tea with your evening meals. With its spicy, strong flavor, it could make a great alternative to your regular beverages and it may help you sleep better undisturbed by nasty indigestion. Buy Your Sage Tea Today! 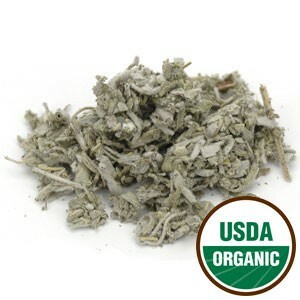 Click on the image or on the link below to purchase from Starwest Botanicals your Organic Sage. Make your tea using cut and sifted or powdered sage. This organic sage from the Mediterranean region is perfect to brew a cup of healing tea. Buy your Sage tea now! An infusion of sage is a helpful herbal remedy to remember in your time of need. So stock up on this wonderful herb and every now and then enjoy a wonderful cup of tea. May this be your healing tea!